“Der Mond und der kosmische Code der Schöpfung” is a substantial 400-page book explaining the moon and the code of creation through the 12 organ flows of man. 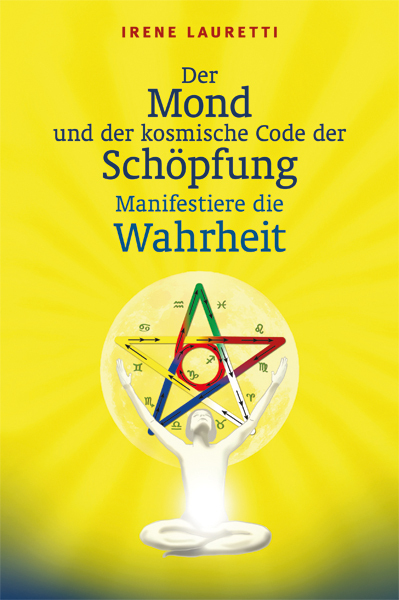 “Der Mond und der kosmische Code der Schöpfung” reveals the code of creation through the 12 Soul gates of man along the Life Flow, the most important energy flow and it explains in both theory and practice how we can tune into the daily cosmic vibrations given to us by the moon on its monthly journey through the zodiac. 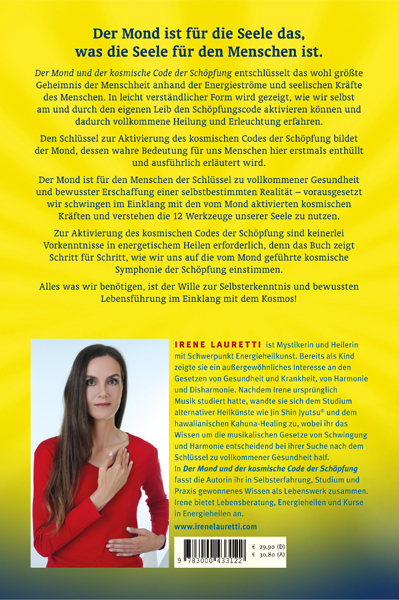 “Der Mond und der kosmische Code der Schöpfung” is a one-of-its-kind-book revealing for the first time the true importance of the moon for health, wellbeing and life in general. The book contains 84 colourful graphics and photographs and is divided into a first, theoretical part which explains the cosmic code of creation in detail and a second practical part enabling the reader to start the transformative healing process by tuning into the moon without having read the theoretical part first. “Feeling Great with the Moon” is the English version of “Der Mond und der kosmische Code der Schöpfung”. It is not a translation but rather a rewritten English version of the German book which contains the essence of the Code of Creation. “Feeling Great with the Moon” features all the substantial graphic designs and photographs of the German book. I have been interested in the moon for many years and, apart from using the moon calendar, I have read many books about the moon. Now, “The Moon and the Cosmic Code of Creation” is the very book I have been waiting for and which stands out among all the other books about the moon. This beautifully designed book with its numerous photographs and graphics has not only made me aware of the importance of the moon, but has sharpened my understanding of myself as a spiritual being. I now understand why, for instance, on Aries days my voice is always hoarse or used to be hoarse since now this book tells me what I can do by “using the forces of the moon”, to prevent my voice from becoming hoarse and, on a more general basis, what I can do for my own health and wellbeing! Although it is only a week ago that I acquired this book, I feel such an energy push due to getting tuned into the moon vibration that I now manage to accomplish so many tasks in one day for which before it took me three days. I want to thank the author for the wisdom provided by this beautiful book and which I am happy to use every day. No one interested in health should miss this book, since it really opens the mind for the true causes of disease and disharmony. “The Moon and the Cosmic Code of Creation” shows the importance of the effect of the moon for us. The book demonstrates most vividly the importance of our soul as the cosmic principle of creation through the six depths and 12 forces of the soul. I was able to see for myself how deeply and effectively the tuning in sequences acted on people, when I took part in a seminar given by the author in which she explained the principle of the Code. At that time I suffered from a most unpleasant and recurrent skin condition with continual itching. So far no medicine had been able to help and other alternative healing methods had not had any lasting effects. At first I was rather sceptical regarding the new approach shown in the book, but then I started practising on a daily basis the positions explicitly described in the second part and after 3 months I was free from any itching and pains. However, to consider and use this book as a mere “book on health” would be a pity, since the first part is a real masterpiece in its own right. In this part the Code is explained through the meaning of our soul. It culminates in the description of the Major Energy Circulation the course of which reveals the cosmic Code of Creation. Another interesting point is the reference made to the St John’s Gospel because the author interprets the symbolic meaning of the 12 apostles as the 12 soul forces and the vital flow as the mediatory principle of creation (Christ). Summing up I would say that this is a book which I would strongly recommend to anybody who has the courage “to look beyond their own noses”! In the esoteric library I happened to come across this beautiful high-quality book. Since due to my former work as an astrologist I have read many books on astro medicine and therefore have a theoretical insight in the interaction between body/organ functions and the zodiac without, however, being able to use such knowledge in a practical way or gather any guidance from it, I became really curious. In the past I had read about Jin Shin Jyutsu and in the bookshop I also found various books covering this subject. However, I felt that the information given was rather clumsy and not really appealing to me. That is why I decided to buy this newly published book. At home I immediately started scrutinizing the promises made in the book and tried out the finger positions indicated therein. The folding pages at the end of the book showing the graphics make it very easy to find the applicable finger positions even before reading the text. After 8 minutes of applying them I had a throbbing sensation under my fingers which were placed on a particular point of a given sequence.. It felt as if I were consciously feeling how my blood was flowing through my whole body. My nose which is always constipated finally became clear and allowed me to breathe freely and even my visual acuity improved. 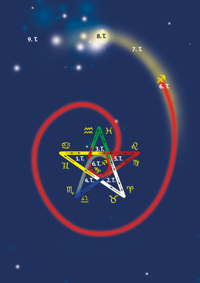 Since then (nearly three weeks ago) I have read the whole book and are applying every day the positions indicated in the book in accordance with the position of the moon in the zodiac. I feel much fitter than before, less cold and I have no longer any headaches. This is a new, extremely helpful book, which is revolutionary in its kind and, unlike so many other books which promise healing effects, this book shows in a simple way and efficient way how people can actually help themselves and cure their ailments.